During the several months’ process of buying Cockamamy, we visited the property a number of times. Almost every time, a friendly, fluffy black-and-white dog was lying on the front porch or would arrive soon after we did. He would greet us warmly with wags and a quick hello, sometimes trotting back up the road. We assumed he belonged to a neighbor and just appointed himself the neighborhood welcoming committee. When Ben came home after his last few visits to the property, he was concerned. Black-and-white dog wasn’t there. The winter was really, really rough. Ben was worried that he’d succumbed to the elements. And Ben was visibly upset by the thought. 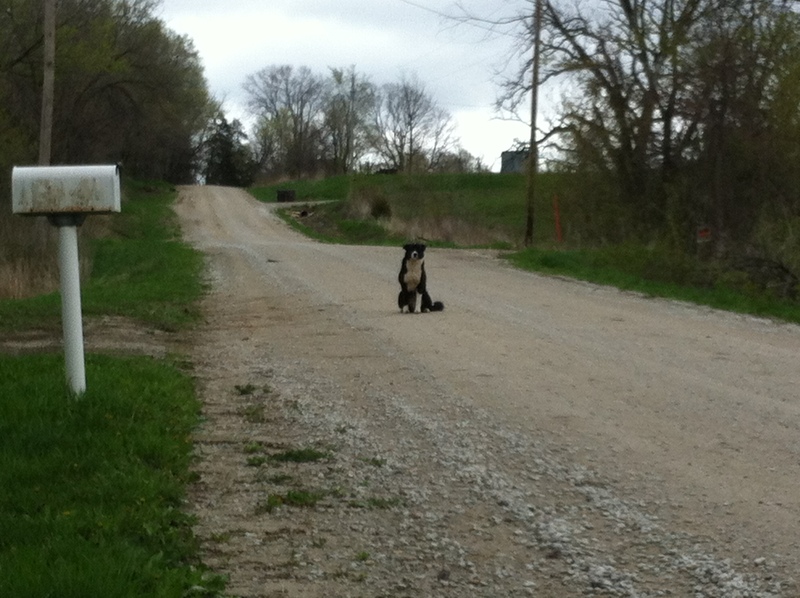 The day after we closed on the purchase, Ben was at the property and black-and-white dog came trotting up the road to say hello. Ben was relieved! The dog hung out all day, lying on the front porch or in the yard. Keeping Ben company. Ben was confused. The neighbor went on the explain that Jake was the black-and-white dog. The woman who lived in the farm house for many, many years got Jake after her husband passed away. 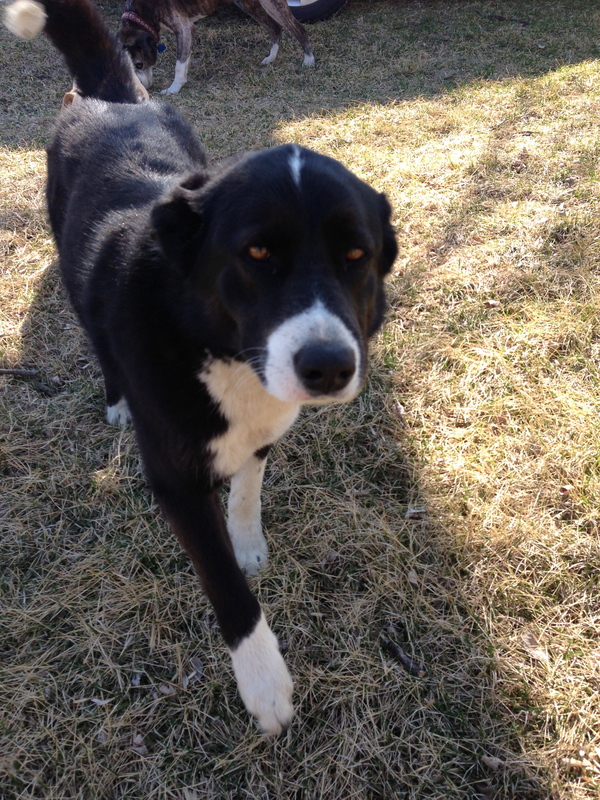 When she began to fall ill, one of the neighbors offered to take Jake in. This neighbor happens to be the local school bus driver. Jake fell into the habit of each morning, walking himself the two miles from his new home to our property to be with his master. And each afternoon, the school bus drivers would pick Jake up and take him home for dinner. After the woman passed away, Jake continued his daily check-in on the property, and, the neighbors say, his master. Now, Jake continues to come visit us. Not every day, but often. And he and the girls have met, played, run circles. I hope we are meeting his approval. We weren’t planning on the property coming with a dog, but Jake is the best unexpected extra we could ask for! Lovely story, Lacey! Jake is a nice looking boy. 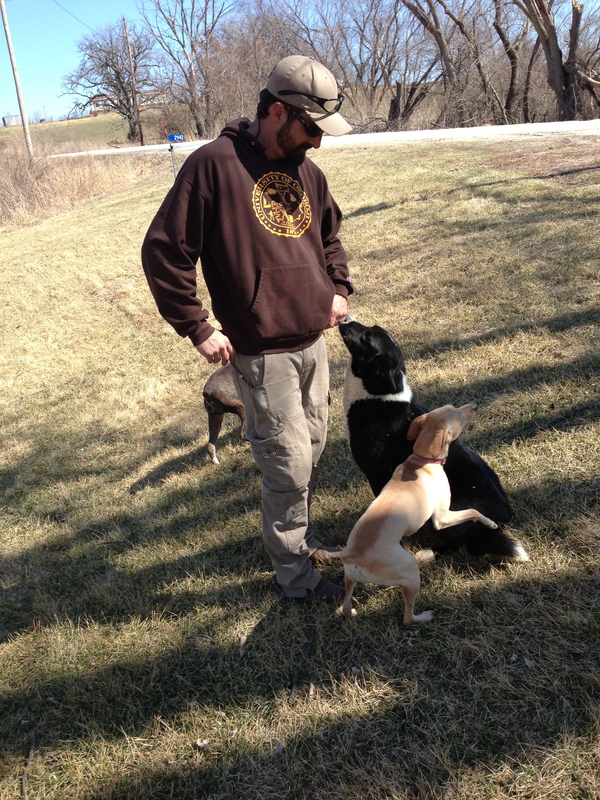 Over the years that I lived in the Iowa countryside, I acquired 3 different dogs that way…only mine showed up and stayed!! The last one, Lucie, is now a French dog. She loves it here! Thanks, Evelyn! We are actually not that far from RedBell. Jake is a very nice surprise! He isn’t staying with us yet, but he stops by for visits. Oh, this melts my heart, Lacey!